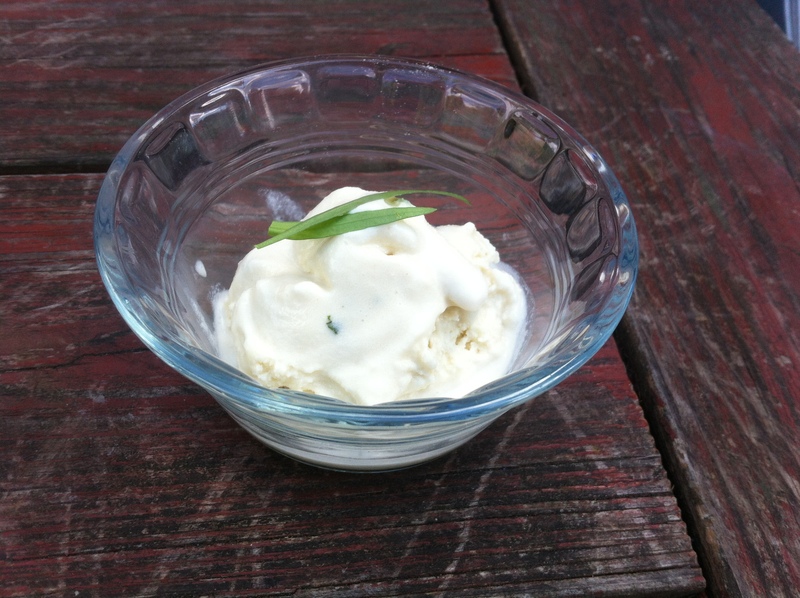 Tarragon ice cream! Following on the success of my tarragon cookies a few weeks back, I did what any sane person would do and made tarragon ice cream. It’s sooooo delicious, with a haunting unplaceable flavor. I stewed the leaves in the milk of some time, and then I saved a few leaves to chop and add at the end, to give it flecks of color and flavor. Here’s The Blossom Toes with Love Bomb. They did some music for the film, don’t you know. In a medium-sized saucepan over medium heat warm the milk with the tarragon leaves. You can leave them attached to the stem–this will make them easier to lift out. Reserve about 1 tablespoon of leaves to chop finely and add at the end. Let sit and steep for about half an hour. Try not to let it boil or the milk will curdle. With a fork or slotted spoon lift out the tarragon leaves and squeeze all the juice and milk out of them. Add the heavy cream, and freeze according to your ice cream maker’s instructions. 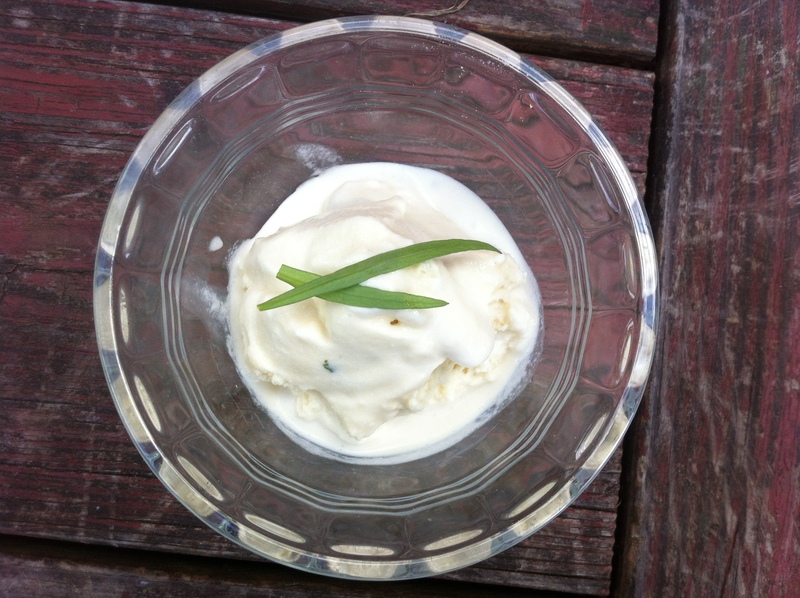 This entry was posted in dessert, recipe and tagged sweet tarragon, tarragon cream, tarragon ice cream by Claire. Bookmark the permalink.